An antique Belgian ceramic encaustic floor, complete with its same size and half size border tiles, dating from the early part of the 20th century. The floor totals 13.25m2, 143 sq ft in surface area and consists of a principal 15cm sq field tile, a same size border and a half size border, which is laid in duplicate framing the main. All four large border corner tiles and eight half size border corner tiles have been reclaimed. At 15mm thick the tiles are an excellent ceramic. The main field tiles offer a classically geometric tessellation in a cool palette, framed by a more fluid border. 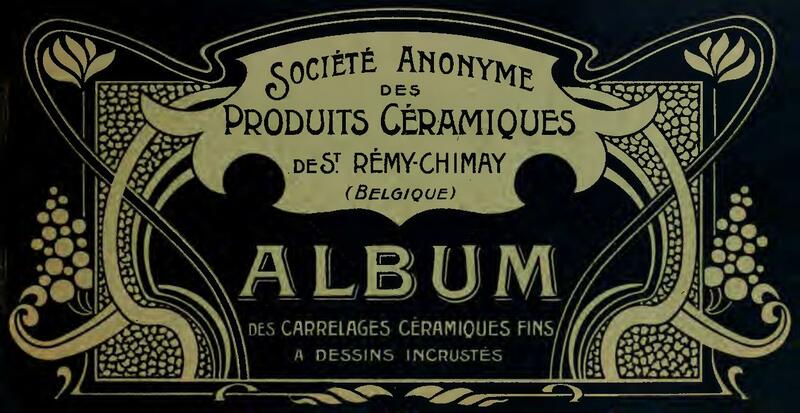 Reverse stamped CPRS they were handmade by Societe Anonyme Produits Ceramiques St Remy-Chimay, a heritage Belgian ceramic producer established close to the Belgian city of Chimay. 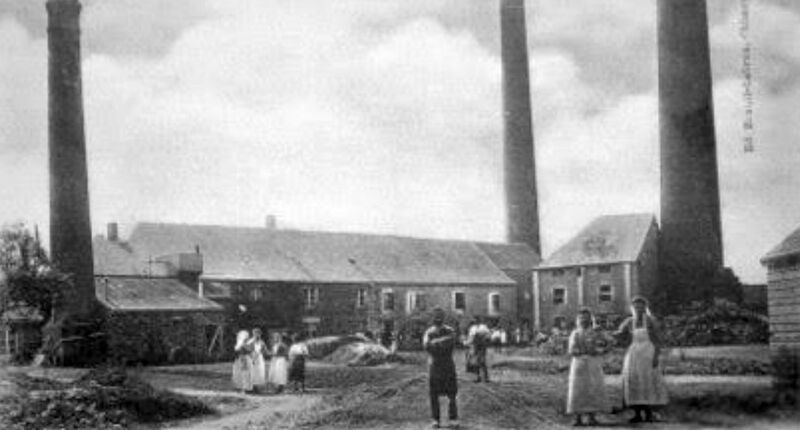 A photograph of the tile factory, now long since closed, is shown in the gallery as is a scan from the 1905 St Remy Catalogue in our possession showing the tile spread. The floor, cleaned of its mortar to the back and sides and with the faces having had their old wax and dirt removed, now displays its rich and warm antique patina; edge nibbles and small chips, all groutable, are evident as can be seen in a small number of tiles in the high resolution photographs. 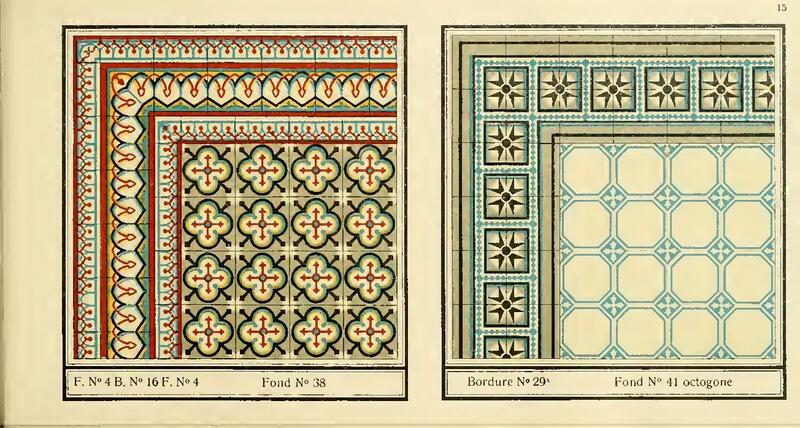 Owing to the labour intensive handmade production method of making the tiles in two tile moulds there is some tonal variation in the colour of the tiles, most notably in the burgundy on the border tiles. FIELD TILES - 435 - 9.8m2 / 105.5 sq ft. If you have any questions regarding our A Period Chimay ceramic with triple borders of 13.25m2, simply complete the short form below and we'll respond to your enquiry as soon as possible.